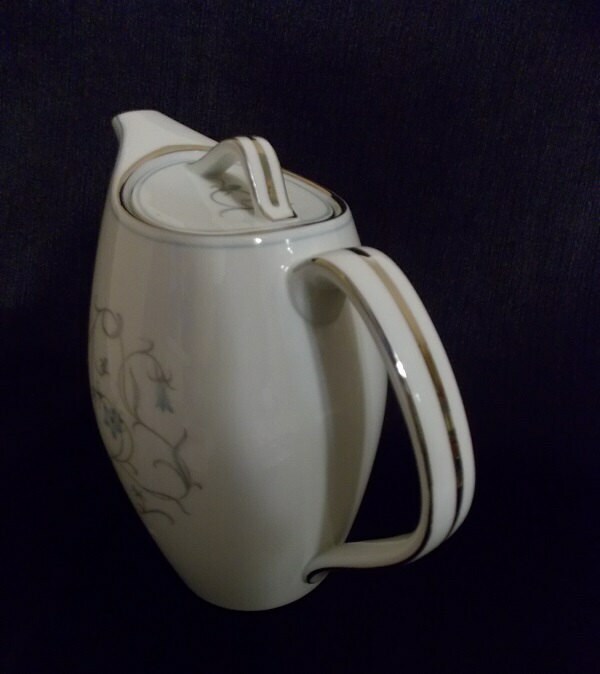 This Noritake coffee pot was made by Noritake between 1956-1960. 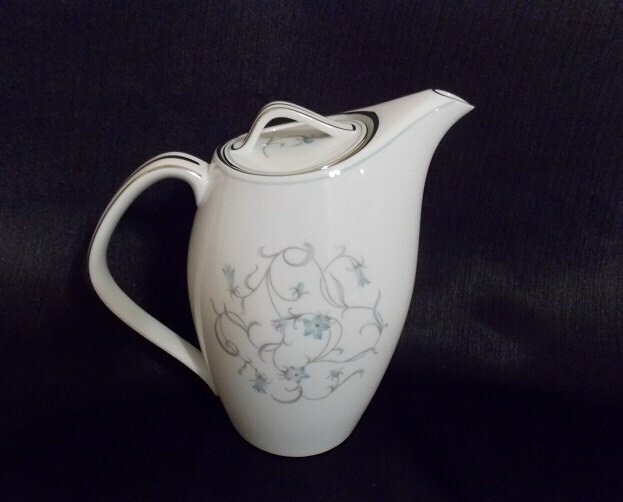 It has an overall white color and is done in the Beaumont pattern which features blue and purple flowers and gray and blue leaves scrolled across the front of pieces. 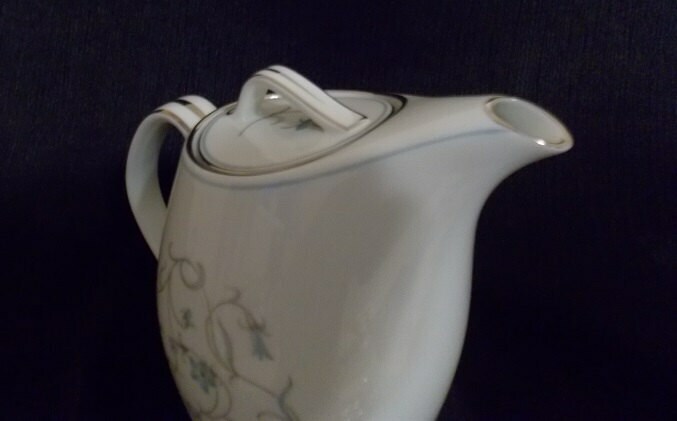 This coffee pot has a silver trim. 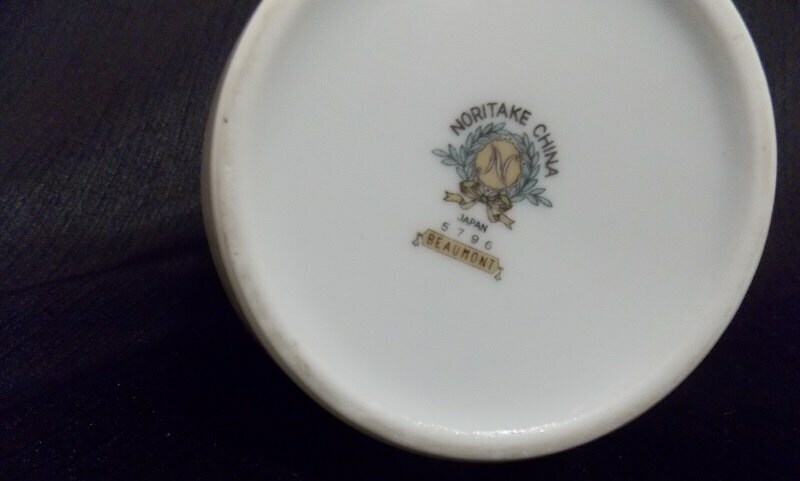 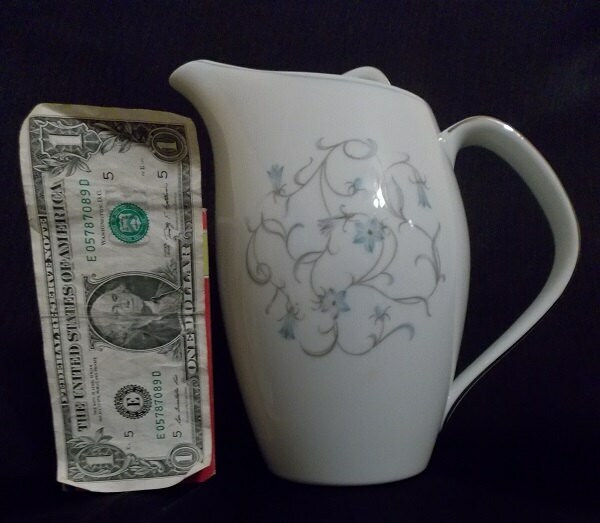 This tea pot is in excellent condition with no cracks or chips.